Thank you for taking the time for me. My board is SparkFun 9DoF Razor IMU M0. 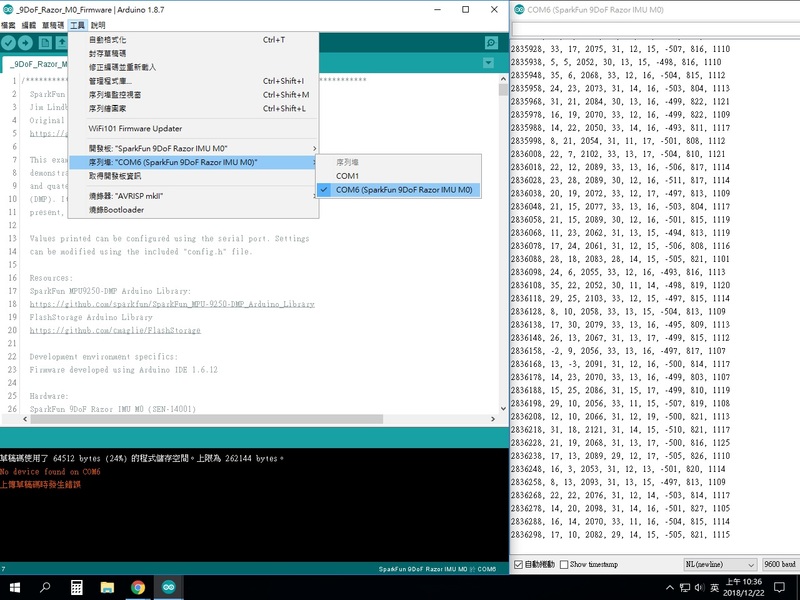 I think there's no problem uploading codes via arduino ide through i already did it for few week and offical introduction say so. There's a problem with my computer while uploading the code to this board. Port already selected,and still can read the data from the IMU. and it start not uploadable. So i tried re-install all boards in Board Manager and IDE. But seems something didn't clean up at IDE.I used cclear after unstall. I did'nt sure will that do the job,but seems not.Issue still exsist. And the driver i'm not sure if there has problems.Because it worked at the first day i plugin the IMU board. The board have no reset button,but it have bootloader mode throgh i still fail.I think there's other way. I still have subject to do. have you selected in preferences "show verbose output during upload". what errror message do you get ? YES,it's on com7 because i tried to change the port from device manager,but didn't work out.